Tim is the founder and host of Australia’s #1 business marketing podcast — The Small Business Big Marketing Show, which can also be found on all Virgin Australia domestic and international flights. During his early career, Tim was the marketing manager for Flight Centre. He also spent ten years working in Australia’s largest advertising agency, looking after the advertising needs of brands such as Gillette, AXA, Yellow Pages and Dulux. In his early days as a marketer, Tim was instrumental in helping AFL legend Jim Stynes raise one million dollars for his youth charity, Reach. Now a successful small business owner in his own right, each week Tim shares marketing insights and tips to help build small businesses into the empires they deserve to be. Having launched nine years ago, The Small Business Big Marketing Show has well over 400 episodes and three million downloads. It regularly ranks in iTunes above The Tim Ferris Show, Seth Godin’s StartUp School and even the Harvard Business School’s show. Tim has built a global audience of motivated business owners in 110 countries. 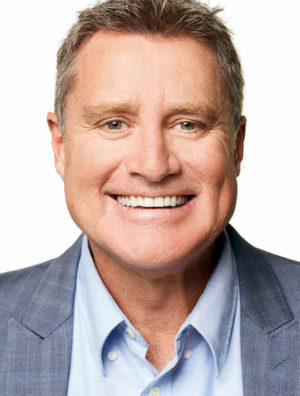 He is the author of The Boomerang Effect and is Australia’s most sought-after marketing keynote speaker. Tim also shares his business and marketing insights on three weekly national radio segments. He regularly travels the world, showing business owners and marketers how to use marketing to gain success and increase profits without spending a fortune. Tim is also an experienced MC, having hosted the Telstra Business Awards and the annual Australian Podcast Awards. He lives in Melbourne with wife Sophie, three grown children, a cat and dog. According to Tim, there’s never been a better time to start and run and market a business. Ever!